Meet the First Group of CorpsAfrica Volunteers in Malawi! Tusayiwe Sikwese recently graduated from the University of Malawi, Chancellor College, with a Bachelor of Arts Humanities Degree in English Literature. She has a worked as a Research Assistant for different organizations in Lilongwe during college and after graduating. 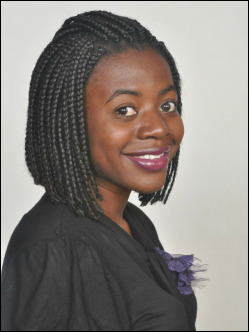 Tusayiwe joined Trans-World Radio Malawi in June 2015 as a volunteer presenter for a youth program. She is an active member of the Rotaract Club of Lilongwe and is currently a member of the Professional Development committee in which she is responsible for organizing trainings and talks on profession-related topics. Tusayiwe successfully completed the 2014/2015 Rotary Youth Leadership Award (RYLA) Training in Zimbabwe (Chimanimani, Outward Bound). Emas Potolani holds a Bachelor’s Degree in Humanities with a major in Philosophy from the University of Malawi, Chancellor College. 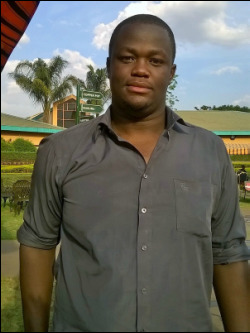 Prior to joining CorpsAfrica, he volunteered at the Student Christian Organization of Malawi (SCOM) where he served as a Training Secretary in the Eastern Region of Malawi from October 2014 to August 2015. This position enabled him to provide premarital counseling and guidance to students in secondary and tertiary institutions as well as associates in six districts of the region regarding issues of HIV/AIDS, enhancing academic, moral and spiritual excellence, conducting research and building relations with policy makers in emerging issues that are affecting young people. He is very passionate about community development through youth empowerment. Emas held several leadership positions while in college and also founded the Indigenous Talents Concerts (ITC) and the Worship-Quake Revolution, a movement that unites Malawians through corporate worship. He thinks that CorpsAfrica has practical mechanisms for engaging people in Africa to help them develop themselves and he looks forward to bringing a positive impact in the communities of Malawi and beyond. 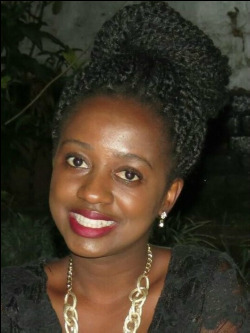 Sarah Kazira graduated in May 2015 with a Bachelor of Arts degree in Christian Community Leadership from African Bible University, Uganda. 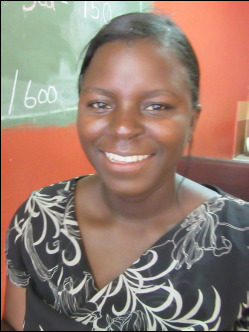 After graduation, she has been working on a literacy program teaching children how to read and write Chichewa and English under a youth organization she helped setting up. She has also been working with Student Driven Solutions to empower secondary girls and reduce their school dropouts while teaching the financial skills necessary for running a small business. 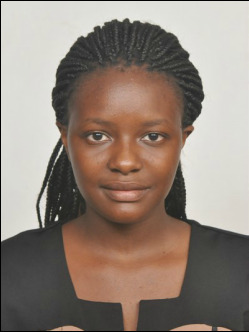 Prior to joining CorpsAfrica, Deborah Kamanga served as a team leader for International Citizen Service/Lattitude Global Volunteering in the northern region of Malawi for six months. She was part of a team of Malawian and United Kingdom volunteers working on a health project in Mzuzu, focusing on sexual health, general hygiene and climate change in several primary and secondary schools as well as youth clubs in the region. Deborah has also been involved in research work with some non-governmental organisations in Malawi, one of which was participating in a survey research team for Catholic Relief Services on an early childhood development project implemented in rural areas of central and southern Malawi. She is originally from Kasungu, Malawi and graduated with a Bachelor of Sciences degree in Sociology from Landmark University, Nigeria. As a student in the university, she served as part of the Students Representative Council for two academic sessions. Deborah is passionate about helping people, especially children and women, and believes that everyone stands a chance to thrive and have a meaningful life if given the right platform. Read Deborah's blog posts during her CorpsAfrica service. 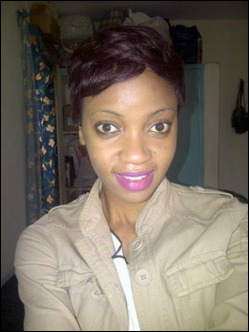 Isabel Mandiwa holds a Bachelor of Science Degree from the University of Malawi, Polytechnic in Environmental Science and Technology with a major in Environmental Management. She has worked as a Health, Safety and Environmental Officer at Mota-Engil in Liwonde. She also worked as an intern at Lilongwe City Council. For a period of two months she worked with Millennium Consulting Group in several districts within Malawi, which sparked her interest in CorpsAfrica. She believes that being part of CorpsAfrica will be a way for her to give back to society through imparting knowledge and skills to the rural communities. She eventually wants to create a platform to further her studies in community development. Limbani Kamanga graduated from the College of Wooster in Ohio in May, 2015. As an International Relations major, Limbani is interested in issues relating to global poverty, specifically rural development. For this reason, he hopes that volunteering with CorpsAfrica will enhance his understanding of the complexity of factors that derail rural development in Malawi. In addition, he anticipates that the opportunity to volunteer with CorpsAfrica will turn out to be an ideal preparation for post-graduate studies. In his free time, Limbani finds joy in soccer, both playing and watching. Soukaina Bouihi is from Ouarzazate, Morocco. She graduated from the faculty of Ouarzazate in 2013, with a BA in Foreign Languages Applied on Commerce and Communication. She served as a CorpsAfrica Volunteer in Morocco from 2013-2014. Soukaina represented Morocco in a women's leadership program in Kansas, USA, in 2012. She worked as reporter for Global Girl Media, which is an international organization that works with young women to report on women's and youth news using social media. 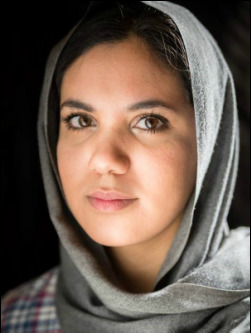 She is a co-founder of Ouarzazate E-news, a local newspaper that reports the daily news of the Ouarzazate community, and a board member of the association E news. 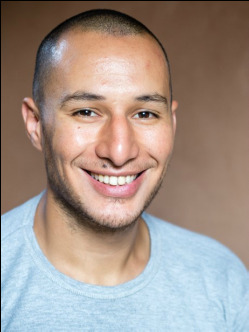 Abdellah Azizi was born in Morocco in 1987, and studied cinematographic lighting techniques at a specialized college in his hometown of Ouarzazate before pursuing further film and editing studies in Casablanca. Abdellah participated in the Reporting Change workshop and Multimedia Course by World Press Photo Academy. He is now working as a professional photographer and videographer. 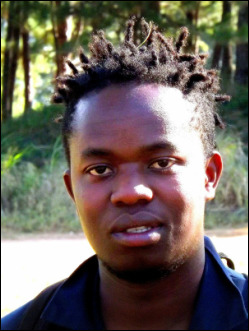 Lusekelo Simwela is from Lilongwe, Malawi. 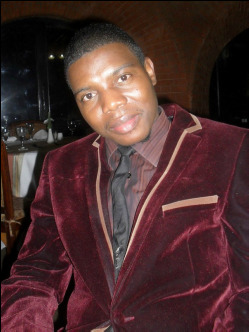 He graduated From the University of Malawi, Polytechnic with a Bachelor’s degree in Business Administration. He is passionate about entrepreneurship and owns a small food products business. He is an avid reader and writer and has, through his writing, campaigned against different social problems. This includes violence against women including the FMB/MAWU story writing competition winner "Broken Circle.” He believes CorpsAfrica will give him a platform to make in impact in the lives of those less privileged. His other interests includes, reading Japanese Manga, basketball, and watching soccer. Vanessa Chimutu is a 2014 graduate from the University of Malawi with a degree in Education, focusing on Social Studies and Human Ecology, and also holds a certificate in Financial Accounting obtained at the Malawi College of Accountancy in 2009. 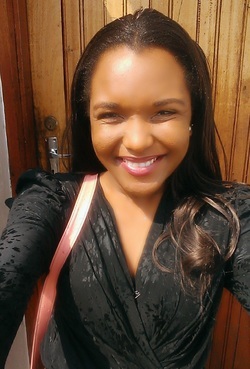 Prior to CorpsAfrica, Vanessa has volunteered with International Citizen Service / Latitude Global Volunteering in May of 2015 to July 2015 where she worked on health and education projects in Mzuzu, with her duties including monitoring and evaluation, research, peer education and being the assistant team leader. She has also worked with numerous upstart nonprofit organizations during her studies at the university such as the Stimulus Baby Wave Project and Little Big Prints, both organizations which aim at improving the quality of education for children and teenagers. She is a motivated individual, eager and ready to take on all the tasks and challenges that come with being a CorpsAfrica Volunteer. 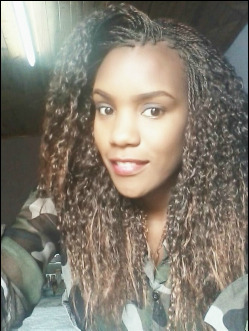 Lucy Chihana was born and raised in Nkhota-Kota (Dwangwa). She recently obtained her Bachelor’s Degree from the University of Malawi, Chancellor College and will be graduating early next year with a degree in Public Administration with a minor in Psychology. During college, she volunteered as a mentor for Little Big Prints and was a Project Coordinator for Student Driven Solutions, both girls’ education programs. Lucy also interned with Illovo Sugar during one of her school holidays. Lucy is particularly passionate about ending social injustice that women and youth face in Malawi. Assiatu Pongolani is originally from Balaka District but currently lives in Lilongwe City. She has a Diploma in Community Development that she obtained from Skyway University in 2015. As the Programs Officer, Assiatu has been working with a non- profit youth organization that deals with behavior change issues among young people with HIV/AIDS, climate change, sexual and reproductive health and rights, gender and food security for more than eight years. She has also worked closely with Peace Corps Volunteers in Malawi by helping planning and implementing Girls Leading Our World camps for five consecutive years. She was the first ever Malawian young woman involved in a coordinating team among the Peace Corps Volunteers since its birth in Malawi. Assiatu was also trained as a Grass Root Soccer Coach in 2014 and continues to stay involved in her community today in engaging and empowering youth in order to stop the spread of HIV/AIDS and Malaria. She is currently the vice chairperson of the textbook monitoring team at district level in Lilongwe where she monitors how textbooks are being supplied and their usage by pupils in primary schools. Assiatu also volunteered internationally in Scotland on a Global Exchange program where she worked with local communities and stayed with the host families for three months.